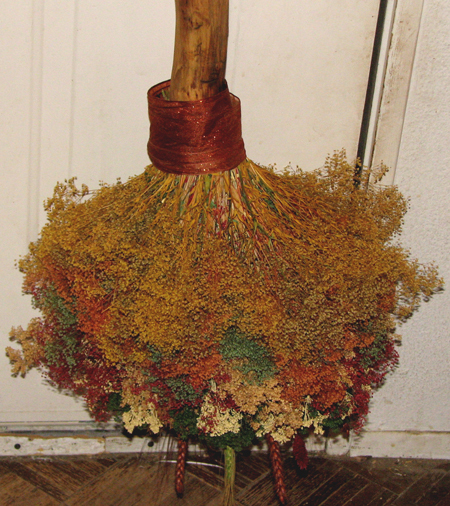 Custom Made Handfasting Broom (Besom) - April 09, 2007 - Saw me at the L.A. Pagan Pride Festival in 2006. "Shipping will not be needed. I drive by you three times a week for my daughter's speed skating practices. I will be happy to stop by and pick up the broom when it becomes available. Please let me know if you have any questions. Thanks," L. Capuzzi, Alta Loma, Ca. May10, 2007 - "Hi Lirica, Sorry for taking so long to get back to you. With only five months left before the wedding, it's getting a bit crazy around here. Yes, I want you to do my broom/besom. 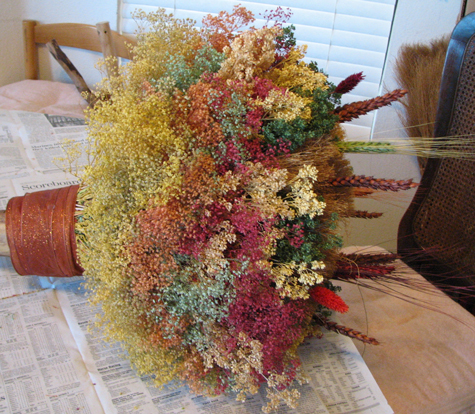 Thanks," L. Capuzzi, Alta Loma, Ca.